Calhoun Square at Lake Street and Hennepin Avenue in the Southwest community of Minneapolis is in the midst of a renovation project aimed at reviving the shopping and entertainment complex. The redevelopment has taken a long time to get underway, as the property has had three owners since 2005. BlackRock, a New York-based investment company, bought the center for $47.3 million in 2007 and began work on the renovation last year. So far, it's spent about $20 million on changes that include expanding the parking ramp, adding extensions to the mall along both Lake and Hennepin and rebuilding much of the interior. Most of the construction should be completed in about a month. When it's finished, Calhoun Square will have over 200,000 square feet of space for shops and restaurants. That's a 45,000-square-foot increase in space! Several of Calhoun Square's new tennants have already opened. Read more about them in this Southwest Journal article. The Midtown Greenway is a 5.7-mile trail in Minneapolis. Used both recreationally and for commuting, the Greenway runs east-west about one block north of Lake Street. It provides cyclists, inline skaters, runners and pedestrians a traffic-free route across the city. The Greenway consists of two one-way bike lanes and one two-way walking path, though they are combined in some places. There are some space constrictions because of the historic nature of the corridor, and it cannot easily be widened or modified. To the west the Greenway connects directly to the Southwest LRT Trail. 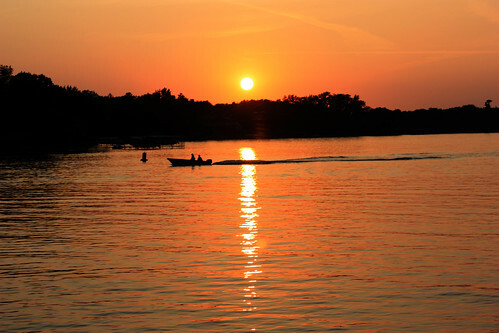 It also connects to the Kenilworth Trail, which in turn connects to the Cedar Lake Trail, providing access to downtown Minneapolis and the western suburbs. To the east, the Greenway connects to West River Parkway, a part of the Grand Rounds Scenic Byway. Along the way, there is access to the Chain of Lakes, as well as the Light Rail Trail, connecting the Greenway to the Downtown East community. 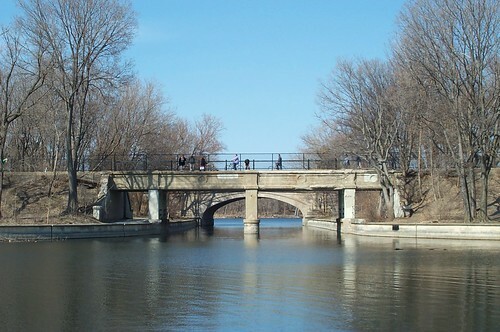 Here you can see riders and walkers on a bridge for the Greenway which crosses the Lake of the Isles. 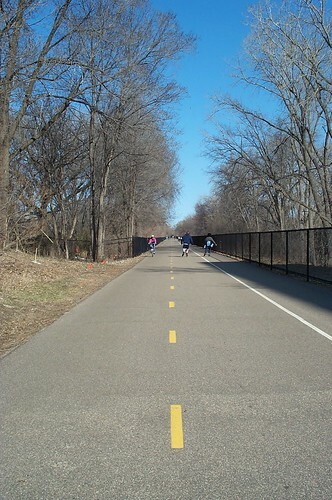 The Greenway was created in a former Milwaukee Road railroad corridor along 29th Street. The rail line was originally built between 1879 and 1881. The Twin Cities arts scene is particularly hopping during the summer. There are a few important and fun events coming up that you should know about! First there is KOOZA, the Cirque du Soleil show happening on the St. Paul riverfront for the rest of the week. Written and directed by David Shiner for Cirque du Soleil, there are shows happening every day through August 2, when they pack up their giant tent and leave. Tickets are $42-$215. Call 1-800-450-1480 or order them online at www.cirquedusoleil.com. This Thursday and continuing through August 9th, the Minnesota Fringe Festival starts off its 15th installment. This year, 160 productions will fill 11 days with 800 performances. The Fringe is the nation's largest nonjuried festival. Its performers, writers and companies test their work in a Darwinian scrum for audience approval and critical attention. Most are locals, but acts also appear from around the country and a few from Great Britain and Australia. Its taking place at 22 venues in Minneapolis and St. Paul. Tickets cost between $5 and $12, but admission to shows also require a $4 Fringe button. Multishow passes are available. Call 866-811-4111 or visit www.fringefestival.org. Finally, next weekend on August 7, 8, and 9 the Uptown Art Fair takes places at the intersection of Lake Street and Hennepin Avenue and “The Mall” in Southwest Minneapolis. Perues a variety of creative and original works of art including sculptures, paintings, photographs, woodcarvings, glasswork, jewelry, multimedia compositions and more. Over $2.5 million of art is sold during the festival, but there are other events happening too. Enjoy food and drinks from over 20 vendors, as well as non-stop entertainment on the CBS Outdoor Performance Stage. Relax in the Wine Garden, or create your own art at the Family Imagination Station activity area. Visit the website here.